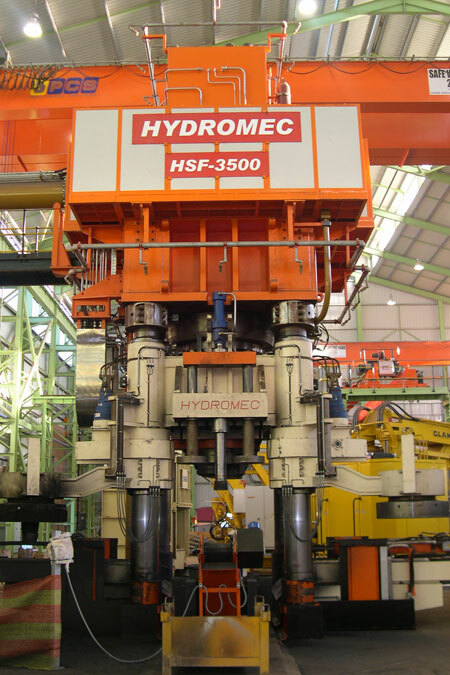 Hydromec steel forging machines are particularly designed for the stamping and the preparing of pieces to be machined by rotary rolling mills (rings, flanges, rail wheels), with robotised cycle for closed die, open die and swage-block extrusions. 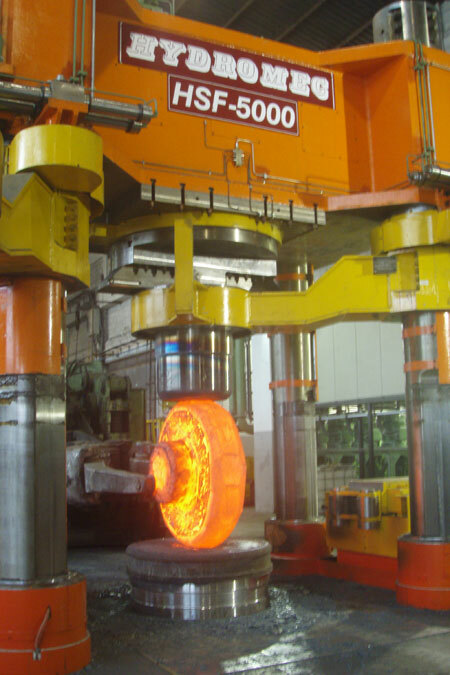 The tonnage varies from 10.000 kN to 200.000 kN. 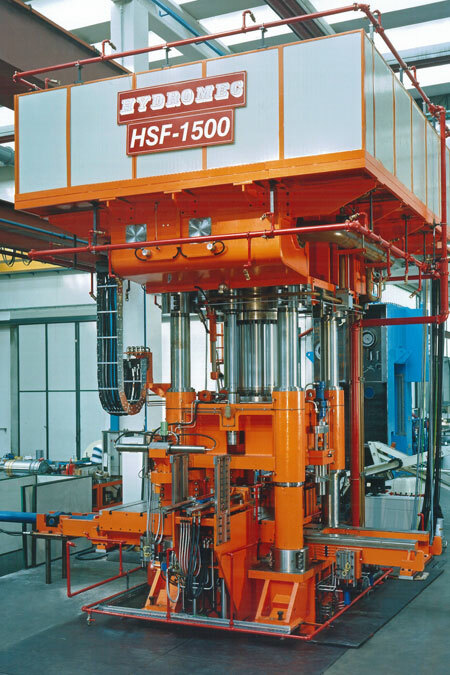 HSF presses are equipped with movable bolster, tool-holder rotary arms, centring devices and rotary tables. 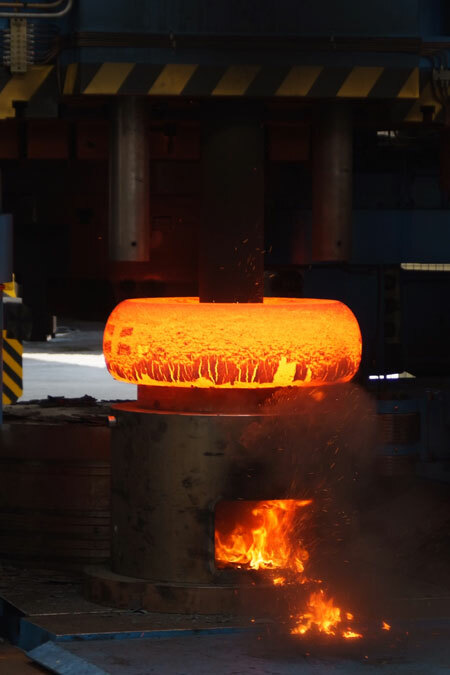 Items produced: flanges, tool joints, blanks to produce bearings, centre plates and automotive items, train wheels, track wheels and components for construction machines. 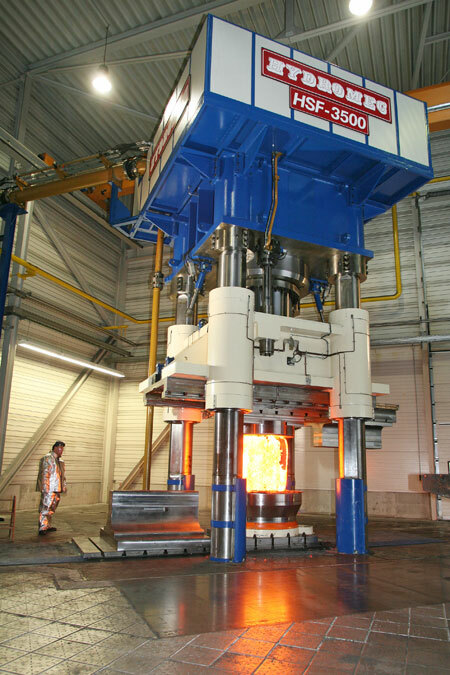 In co-operation with an important customer a 100.000 ton press was manufactured: its height over ground is 25 metres and its width is 15 metres, which makes of this press the biggest hydraulic one ever built in the world. 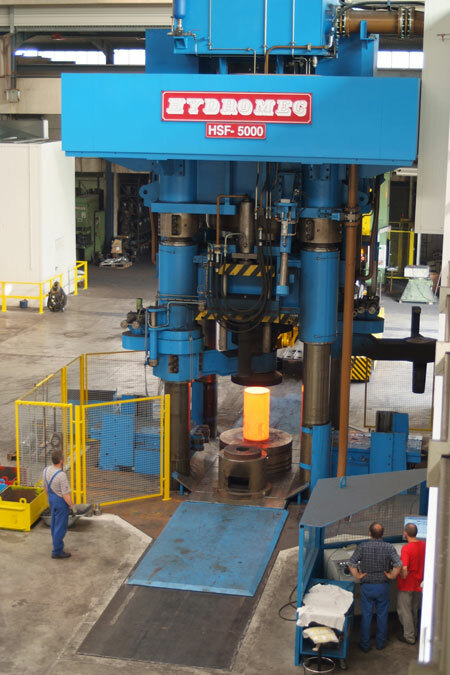 Our range includes presses for open-die and automatic forging of shaped bars and rods, with high-speed cycle interfaced with manipulator programmable hammer change device. 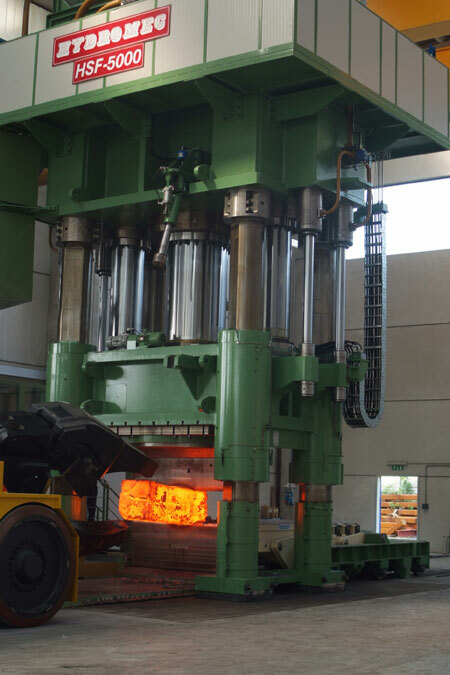 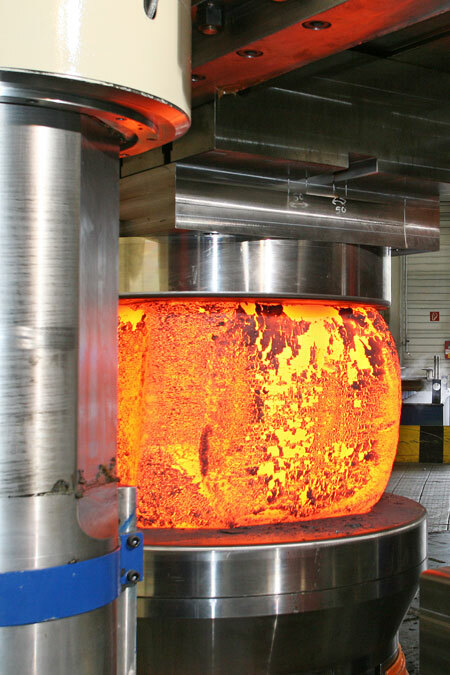 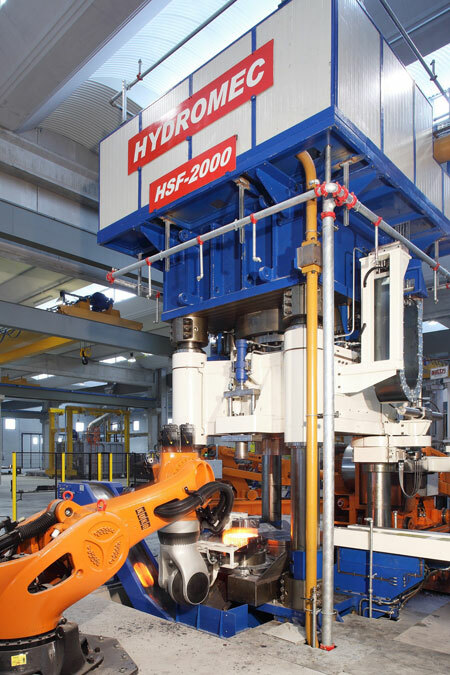 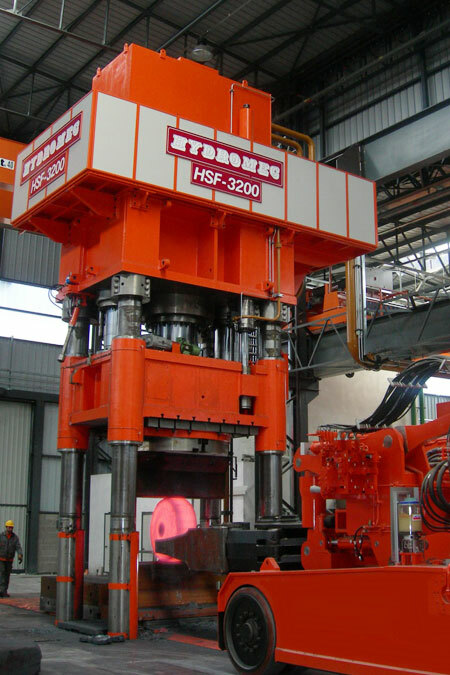 HSF presses are equipped with movable bolster, rotary table, automatic clamping and quick finishing cycles up to 120 strokes per minute to forge high-resistance steel alloys. 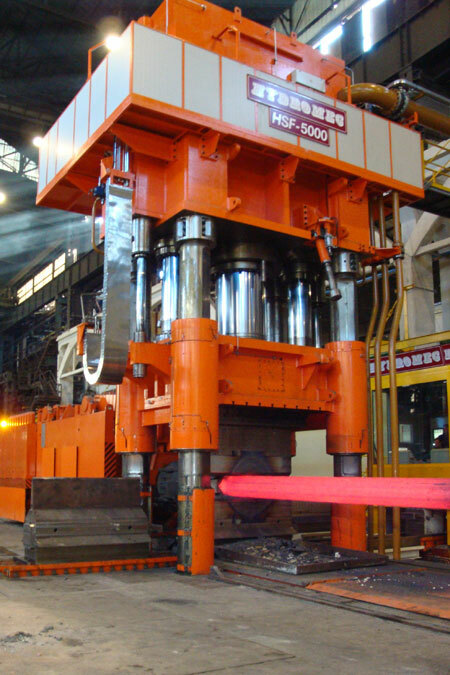 Items produced: cylinders, shafts, up to 20-metre-long bars, valves and components in alloys and super-alloys used in oil, wind-energy, aerospace and nuclear sectors.